Today I have a very special thread for you guys. I will give you a vegetation package for the > 4.7 with many meshes and advanced materials with various effects. Everything for free!! You can use them in your commercial and non-commercial projects. Just keep in mind that you shouldnt re-upload the package + dont use them in other engines. 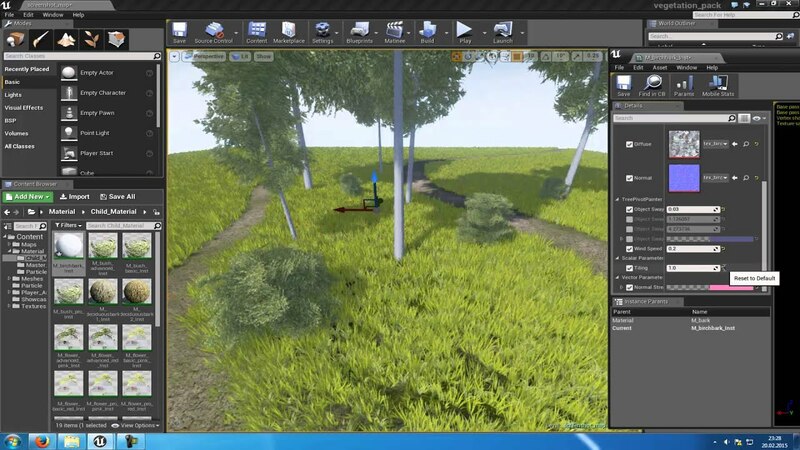 Foliage Starter Kit is a package especially designed for the UE4. 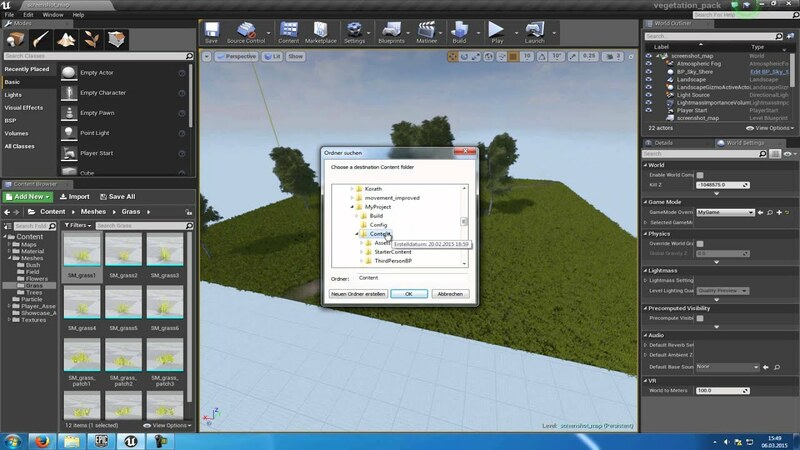 It will give you the ability to create awesome forest/parks/garden scenes with a great variation due to the different material parameters in the Material Instances. That means that you can change the summer trees to winter or autumn trees with just changing a parameter in the Material Instance. Moreover you can modify the wind effects like the strength/variation and also the sway amount of the trees. You are also able to add snow and a variation colour which will change with the mesh position. Another feature is that the ground plants are interactive. So they will move/bend when the player walks over them. All meshes are pretty low poly so that you can use them in a very large scale. Entire landscapes can be filled with them without great performance losses. The materials are split into Master Materials and Material Instances. In the Master Materials you can change nodes which will affect all the Material Instances. In the Material Instances you can change different textures and effects. All the changes will mainly happen in the Material Instances! Just modify the Master Materials when you know the basics of the material editor. Last edited by fighter5347; 09-11-2017, 10:44 AM. - When you have any questions, suggestions, problems, ... just post a reply to this thread and I will see what I can do. - When you need an in-depth explanation of the materials, I can write/record a short tutorial/explanation. Have fun with the package and I hope that it will help you with your project! Last edited by fighter5347; 03-06-2015, 11:30 AM. This will probably be useful for a lot of people that are new to the engine. Good job! Will use it sometime What about some pinetrees? woooooo thank you very much for this!!!!!!!! Yep, will add them in the future. Unfortunately it will take some time till I will post those updates, because currently I have no possibilities to create textures for those assets (atm we have around 30-60 cm of snow ) but assets in a higher quality are in progress. Awesone, thanks for the contribution. That is a big gift, exactly what i needed for my first Vegetations approach in UE4, thanks a bunch!!! You're a hero fighter. If you claim that you still plan on updating this I cannot even wait to see what this pack will look like when its done! Cheers. And I wish I could +1 this. I've added this to the Free resources list in the content creation and given credit to you. Hope you don't mind! I can say I've used your previous assets often for testing when looking into foliage tool issues. - does it work with 4.5? 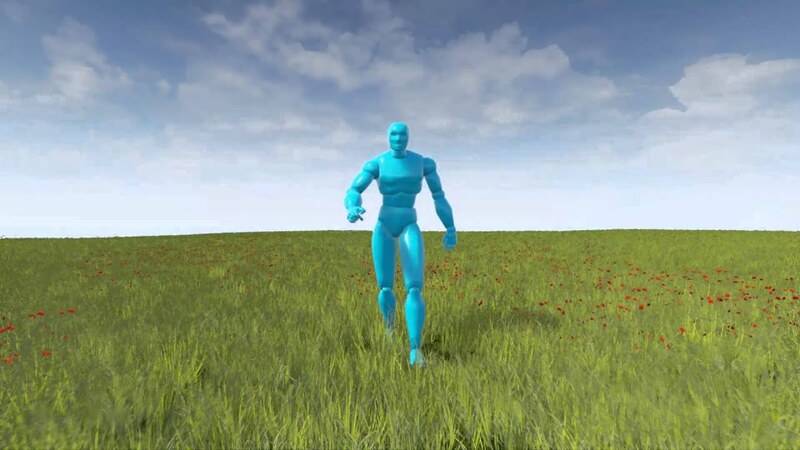 - how do you "refresh" the result in UE4 when changed something in Blender? Can't imagine it wouldn't work with 4.5. At the most you may have to do some tweaking. 4.6 handles foliage a lot better though. As for refreshing assets - right click and reimport. That's ok, i'm going to update UE4 very soon, thank you!